That’s the total number of books published in 2009, according to Bowker’s records, which also show that 764,448 of them were published by self- and micro-publishers. 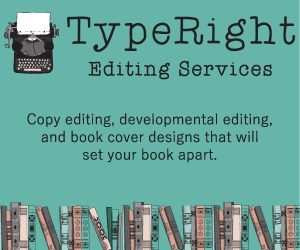 As a new publisher, how do you make your title stand out (and sell)? 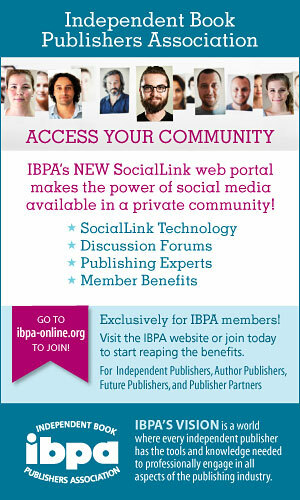 Two new IBPA publisher members are demonstrating the answer. Titles issued by publishers Deborah Jacobs of DJ Working Unlimited and Gina Pera of 1201Alarm Press landed spots on the Baker & Taylor Top-Selling New Publisher Titles list that Jamie Carter of Baker & Taylor’s Publishers Alley compiled for “Understanding the Impact of Independent Publishers on the U.S. Book Market,” a recent Webinar sponsored by the Book Industry Study Group. 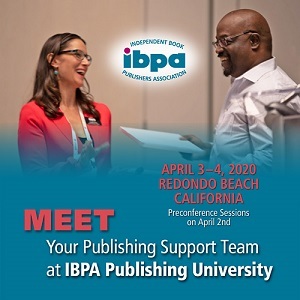 As one of the Webinar presenters, I was asked to point out “common paths of achievement to independent publisher success.” First I chose four publishing success factors that I have observed in operation and in conversations with IBPA members through the years. Then I selected Jacobs and Pera at random from the B&T top-selling list and let them tell me their success stories. The four factors and the two publishers were a perfect match. More is not necessarily better. Those 1,052,803 titles may mean that it’s becoming increasingly difficult for new and smaller publishers’ titles to emerge from the crowd. So how do you achieve the visibility that can lead to success in the publishing world? Successful smaller and independent publishers stick to their niche, which may be narrow, but delve deeply into and focus persistently on their subject matter and their target markets. In some cases, a smaller publisher chooses a few niches rather than one, but the principles are the same. Meet Deborah Jacobs of DJ Working Unlimited, whose title is Estate Planning Smarts, and Gina Pera of 1201Alarm Press, whose title is Is It You, Me, or Adult ADD? They are both new publishers with only one title in print, which makes it especially noteworthy that their books appeared on Baker & Taylor’s Top-Selling New Publisher Titles list. Experts in niche-mining, they are poster children for the four publishing success factors. Success Factor 1—Subject: Choose wisely. Before beginning their respective publishing companies, both Jacobs and Pera had journalism backgrounds, and both had written on their topics for a number of years. Jacobs had written for 12 years for various financial publications, and Pera had done numerous articles in connection with her volunteer work in the attention-deficit disorder (ADD) arena. They knew their subject matter inside and out. Both told me that being experts on their subject was one of the keys to their success. Both Pera and Jacobs saw a need for books on their subject. They felt that their experience with it, interest in it, and passion for it made them best qualified to fill that need. In short, both Pera and Jacobs emphasized that they wanted to produce the book they’d looked for and were unable to find when they were first learning about their subjects. Success Factor 2—Education: Learn continually. Jacobs and Pera didn’t start out planning to become publishers, but when they made that decision, they realized early on that they would need to educate themselves about the business of publishing. 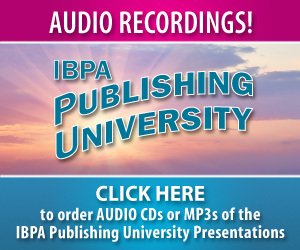 They joined IBPA to begin that learning process, and both of them attended IBPA Publishing University for specific guidance in how to start and run a publishing company. In addition, Jacobs told me that she read every book she could find about how to publish and asked for advice from other successful publishers—most of whom she had never met before she called them. Both Jacobs and Pera made a point of mentioning how important a network of colleagues has been to their learning curve. Success Factor 3—Content: Create professionally. Whoever said you can’t judge a book by its cover clearly was not a publisher, as the cover is the first line of offense in the battle to make a book stand out. She took a chunk of those resources and hired a top-notch creative team to ensure that the cover, interior design, and content not just met but exceeded industry standards. Pera, in her earlier life as a magazine editor, was accustomed to working with professional designers and so would settle for nothing less than professional in her own publication. She too oversaw every detail in the design and production of her book to ensure the highest quality. Both publishers’ journalism and editorial backgrounds taught them the advantage of copyediting and proofing—as the adage goes, “The devil is in the details,” and one typo is enough to chip away at credibility. Success Factor 4—Marketing: Focus relentlessly. The focus on niche is most apparent and most important in the marketing these two publishers did. Each knows her audience and how to reach them. Both offline and online, Jacobs and Pera never lost sight of, and never deviated from, their target audience. Here are a few examples of their niche marketing tactics. there are back-of-the-room sales of her book. please take the flyer to your local library and ask them to order it. ready-made audience for her book. 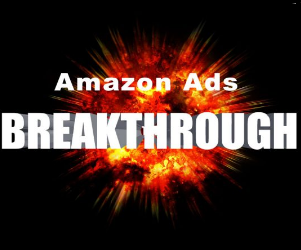 • writes three blogs, and presents Webinars and teleseminars about ADD. As different as their books are, Pera and Jacobs are very much alike in their concentration on their respective niches as they continue to dig more deeply to mine those niches. 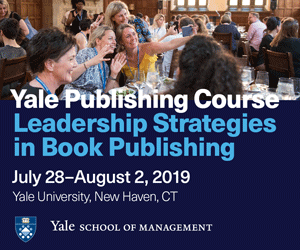 Of course, many more than the four factors I’ve mentioned contribute to a successful publishing program—effective financial management and business planning leap to mind. But, as Jacobs and Pera show, if you choose your subject wisely and stick to your niche, learn continually, create a high-quality product, and focus your marketing, you will have taken four critical steps toward moving your title ahead of the other 1,052,803.